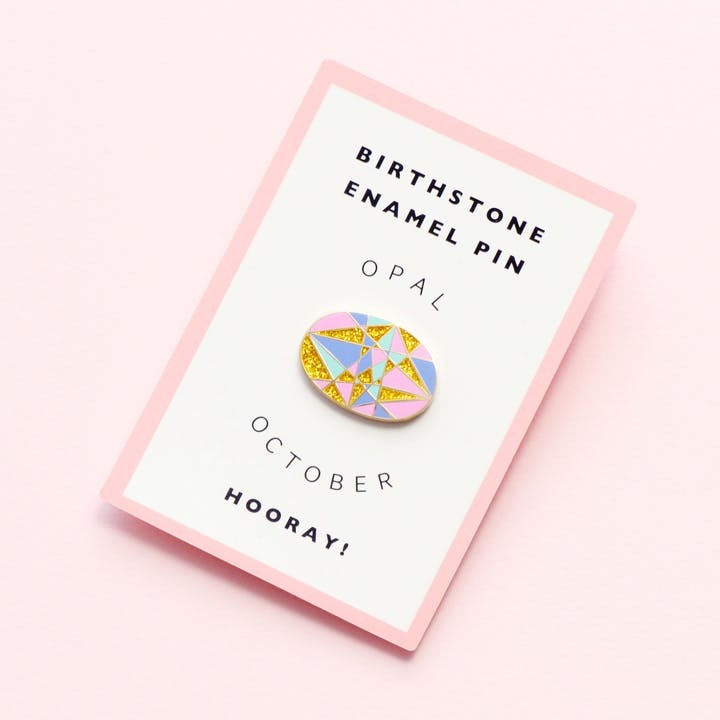 Home > Blog > Happy Birthday Birthstone Pins! 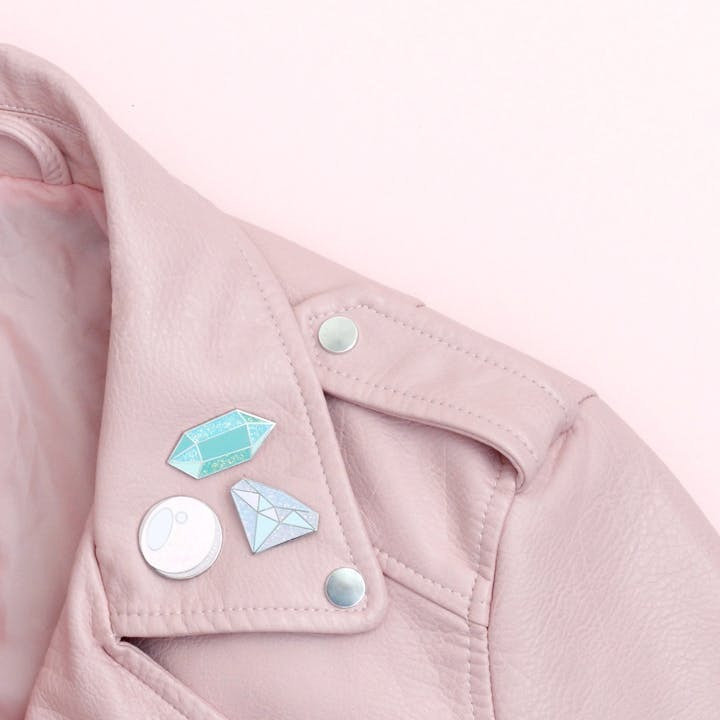 Say hello and happy birthday to our newest additions: Birthstone enamel pins! These little beauties have been months and months in the making so we're really pleased they are finally here and available to buy! Available in every beautiful birthstone, from Aquamarine to Sapphire! 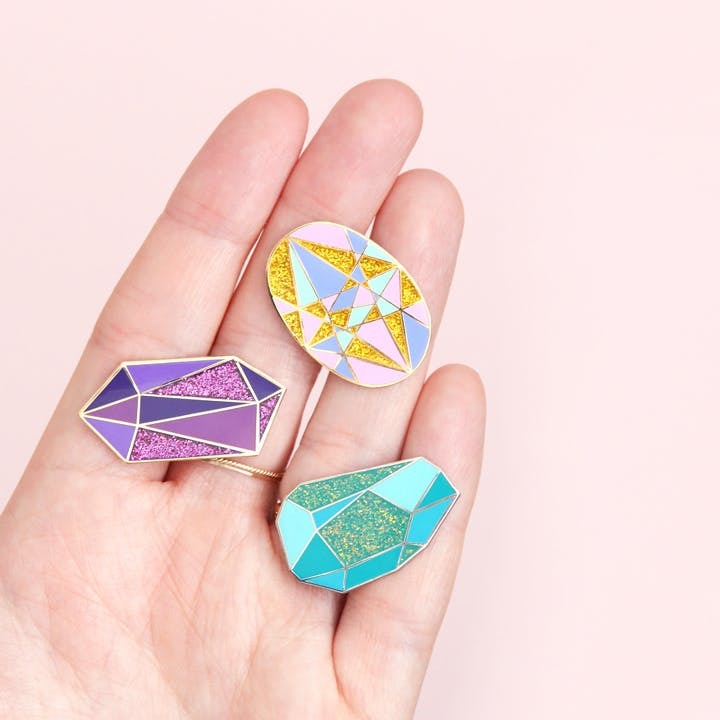 Each lovely and shiny little pin is made from high quality hard enamel and gold toned metal with sparkly glitter. Supplied backed onto a card and packed in a cello bag. Perfect for popping inside a birthday card as a little extra treat! 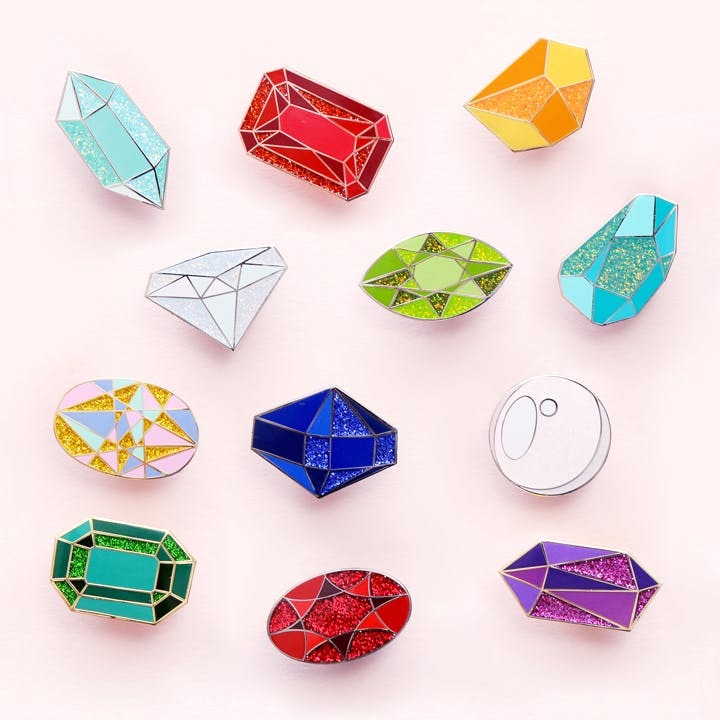 Our birthstone pins are £7 each (with free worldwide delivery) but we're launching them at the special introductory price of £6. Ends May 8th at 9am. We really hope you love these as much as we do. You can view the full collection by clicking here.